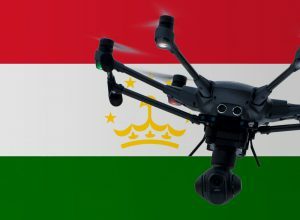 Unfortunately, there is not much information about the legal situation for drone users in Tajikistan. Until now I have only found this text of a law, according to which a previous registration at the aviation authority of Tajikistan has to be obtained. We have researched the listed drone regulations for Tajikistan to the best of our knowledge. We can not guarantee the correctness of the information. If you want to be on the safe side, please contact the competent aviation authority. Alternatively, you can also ask the embassy in your country for further information about the regulations. Please leave us a comment when you receive news and/or gain experience with your copter in Tajikistan! registration and use of drones. In this regard, the deputies of the Lower House of Parliament on April 6 have made amendments to the Code of airspace of the Republic of Tajikistan. The First Deputy Chairman of the State Committee for National Security /SCNS/ of the Republic of Tajikistan Mansur Umarov speaking before the Parliament deputies said that the draft law has been developed by the Inter-agency Working Group of the Government of the Republic of Tajikistan and aimed at strengthening national security. He has noted that in the context of modern society the threats to the state security and public safety with the use of modern technologies have worried many countries of the world. Mansur Umarov has mentioned that amendments to the Code of airspace provide for state control over the use of the airspace of the Republic of Tajikistan and drones. According to amendments to the code of airspace of the country, the illegal access to alien entities to drone aviation system will be limited.